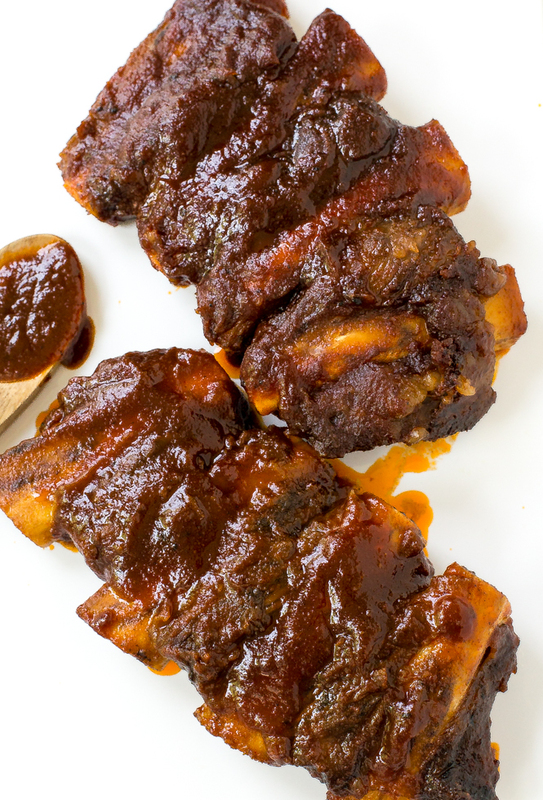 Slow Cooker Barbecue Ribs cooked low and slow for 8 hours! They are fall off the bone tender and super easy to make! 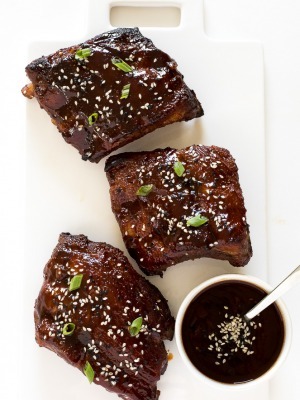 These pork ribs are super easy to make, tender and loaded with flavor. This is an awesome way to prepare ribs without turning the oven on. The ribs cook low and slow in the crockpot for 8 hours! The ribs start off with an easy dry rub: Brown sugar, garlic powder, onion powder, paprika and chipotle chili pepper. The chipotle chili pepper adds a nice smokiness and hint of spice. You can find it at the grocery store with the rest of the spices. Once the ribs are rubbed down with the spice rub they are placed in the slow cooker with barbecue sauce. 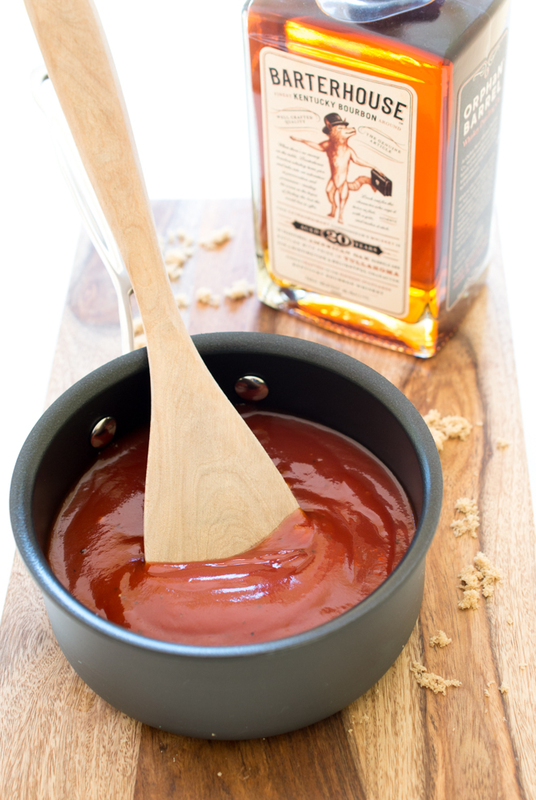 Use your favorite barbecue sauce or my Bourbon Barbecue Sauce! I slather the pork ribs with the barbecue sauce. Its the perfect combiantion of sweet, tangy with a hint of spice. Rinse the ribs and pat try with paper towels. Add brown sugar, garlic powder, onion powder, paprika and chipotle chili pepper to a small bowl and stir to combine. Sprinkle the dry rub onto both sides of the ribs. Spray the slow cooker with some nonstick cooking spray. 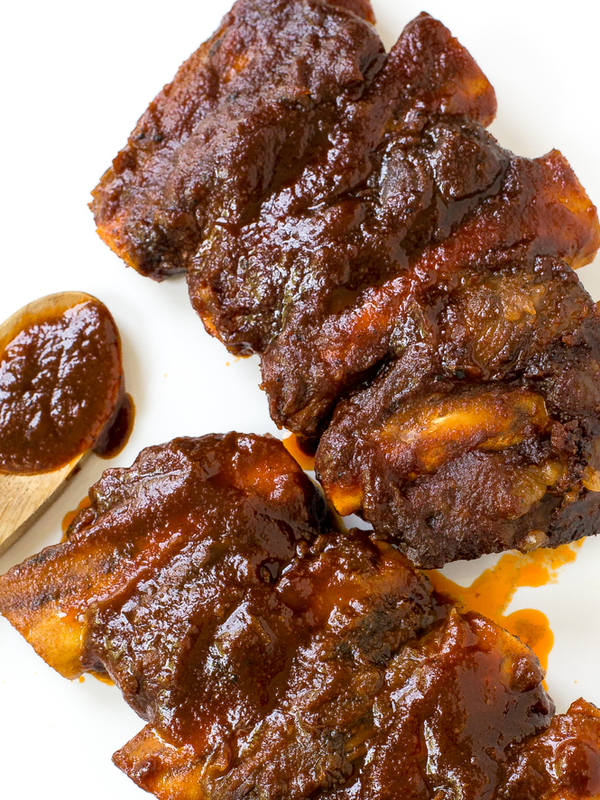 Place the ribs in the slow cooker and pour your barbecue sauce on top. 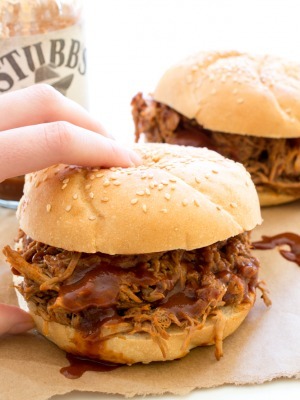 Looking for more Barbecue Recipes? Give these a try! Cook on high for 4-5 hours or on low for 6-8 hours or until the meat is falling off the bone.